The Skolkovo Foundation has signed an agreement with Russia’s gas behemoth Gazprom on cooperation in science and technology. 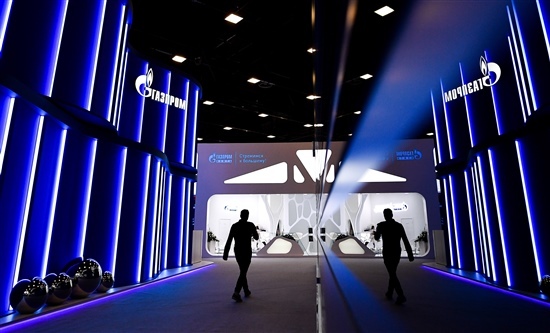 Gaz giant Gazprom's stand at the St. Petersburg International Economic Forum. Photo: SPIEF. 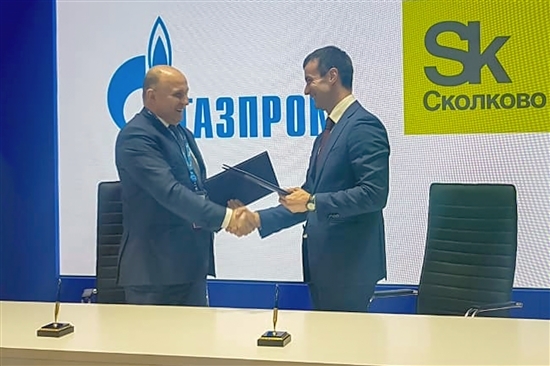 The agreement was signed by Oleg Dubnov, head of Skolkovo’s energy-efficiency technologies cluster, and Gazprom department head Oleg Aksyutin on the first day of the St. Petersburg International Economic Forum (SPIEF). The two sides have agreed to cooperate in solving technical challenges and increasing the use of innovations developed by Skolkovo’s resident tech startups. The technologies to be focused on under the agreement include those related to the exploitation of hydrocarbon resources in offshore and permafrost zones, gas refining, increasing the efficiency of manufacturing processes, and diversifying methods of gas delivery to the consumer. Skolkovo’s energy cluster includes many startups working in technologies for the oil and gas industry. Last year, the Skolkovo Institute of Science and Technology (Skoltech) opened a new state-of-the-art laboratory for its Center for Hydrocarbon Recovery. The opening of the lab, which is devoted to research and development into extracting hard to recover and unconventional resources, was attended by Gazprom Neft CEO Alexander Dyukov.